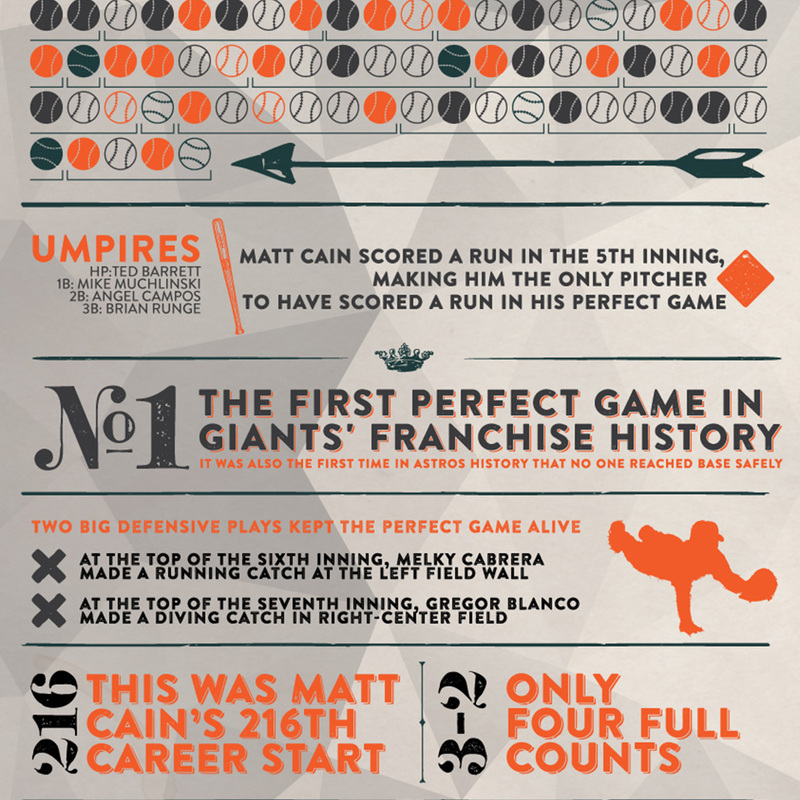 this infographic is about the san francisco giants’ first ever perfect game, pitched by matt cain. the game was played june 13th in san francisco and i remember being in new york city at the time. were there for a week – shouldn’t be hanging around the hotel, but couldn’t take my eyes of the screen and ended up being excited and stoked. not only because of the thrill and anticipation of every pitch, but also on behalf of both cain and the entire giants organization.